A Guardian takes responsibility for the care and management of an incompetent adult or minor child. 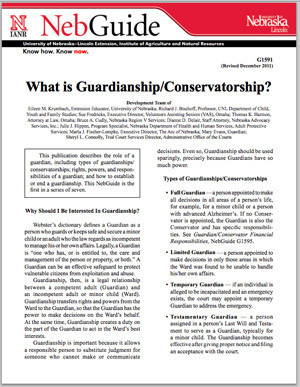 Guardianship transfers the rights and powers from a Ward to a Guardian. This is one of seven NebGuides in this series. Also see the UNL Guardianship Web site.